ADORABLE! I love that you used a cluster of buttons as the circle element. Everyone who's played the sketch so far has had a neat take on that element! 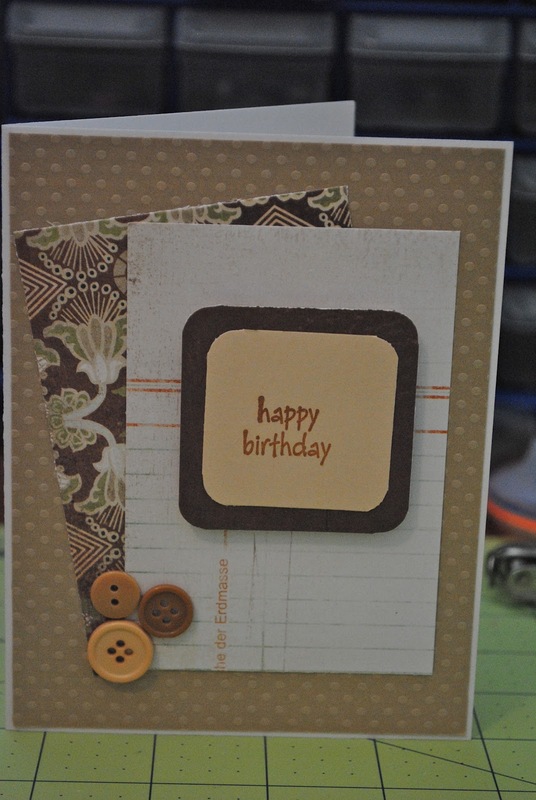 Nice card- I like the simplicity and that you could use it for a guy! I have a hard time with guy cards! Cute card and yummy cookies!! The cookies look sooooo good and they look like crispy cookies instead of soft ones. Am I right? We are a crispy cookie family. Have you ever posted the recipe? Luv the container shape. May have to use the idea. Nice card and cookies. 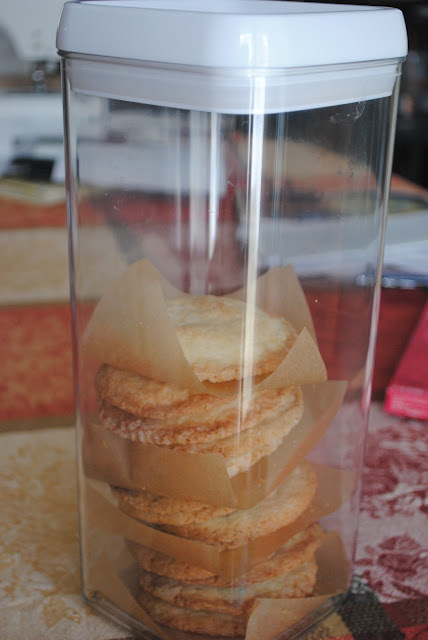 I like the paper separating the cookies in the container. I copied this from the blogger help page so it may help you add the reply to comments feature. Let me know if that works for you. 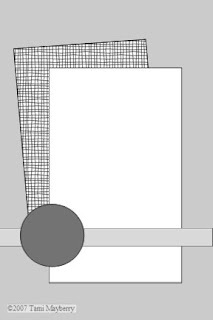 "If you have commenting enabled on your blog, then threaded commenting will work provided you have your blog feed set to "Full," and have chosen the “Embedded" option as opposed to “Full page” or “Popup window.” To change your commenting settings, just go to the Comments section under Settings | Posts and comments. The setting to change your blog feed can be found under Settings | Other."